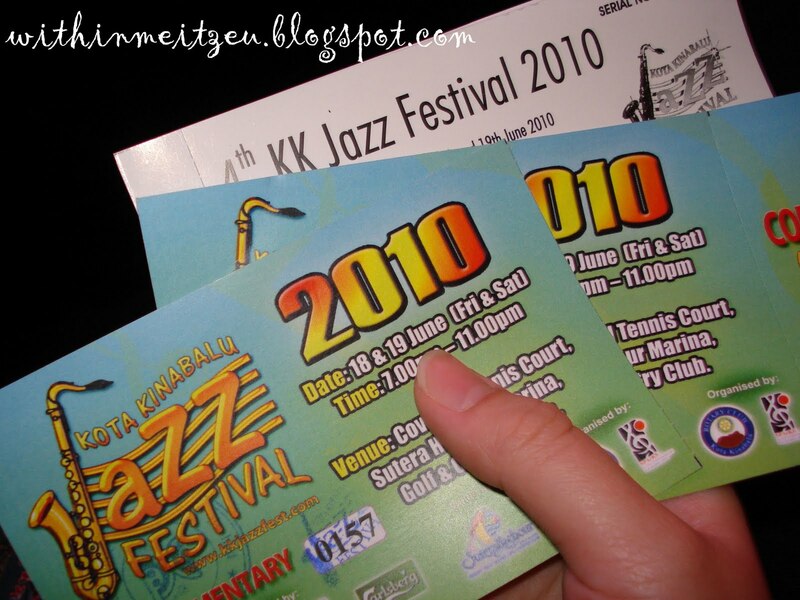 The fourth KK Jazz Festival was held on last Friday and Saturday, 18 and 19th June 2010. 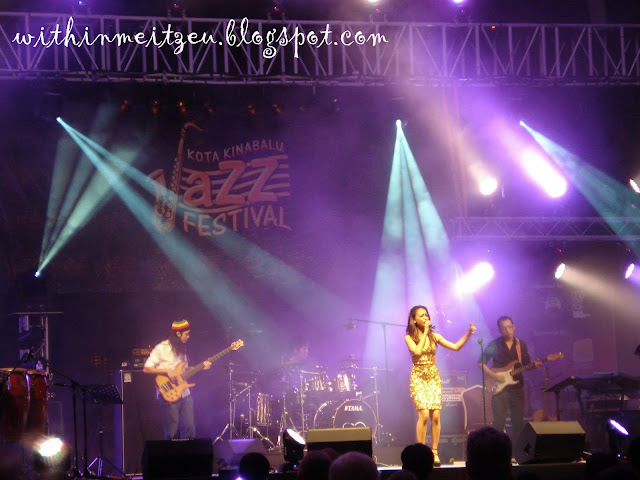 I'd missed the previous three Festival held around KK and this is my first attempt to enjoy the Jazz music lives by Malaysian's musician, singers and singers from overseas too. 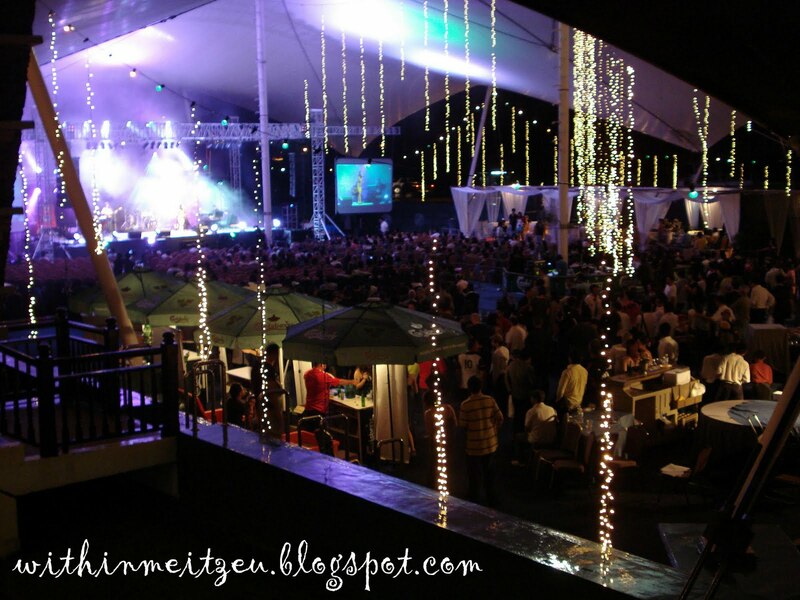 The event was held at the Covered Tennis Court, Sutera Harbour Marina, Golf Country Club. I attended the first day of the event and it was raining cats and dogs for the whole day. Most of us need to ran to the court after we parked our car. 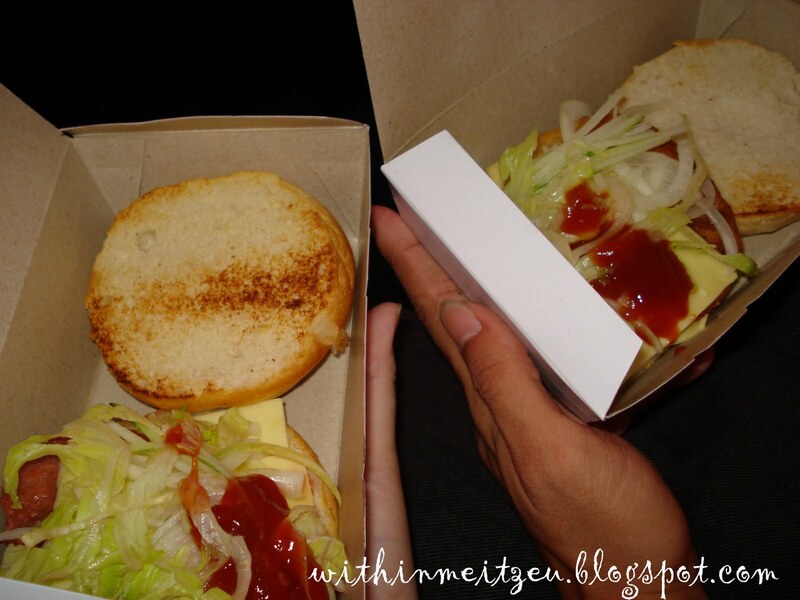 The food was good which only cost RM8.00, which was reasonable. 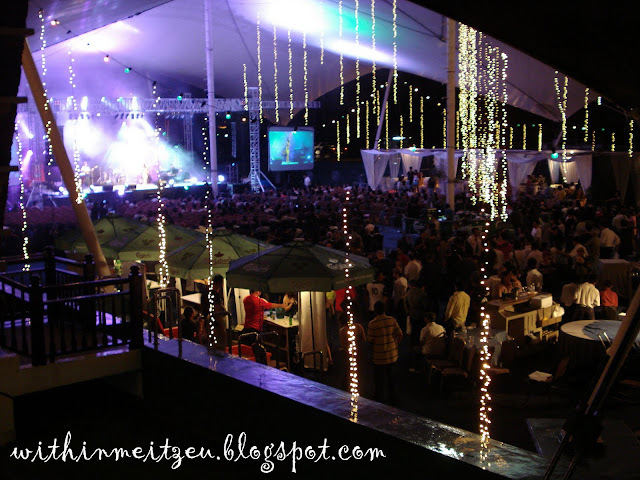 Besides, Double cheesed Burgers, they do have beers, chips, chicken wings and other finger foods prepared by the hotel's chefs at the food stalls behind. The events was featured by Mood Indigo, Organamix, Island Jazz Connection, GPJQ, Roots, RTM Combo, UMS Big Band, Fingerstyle & Kidz and some special invited guests. However, I love the below musician/ singers much!! 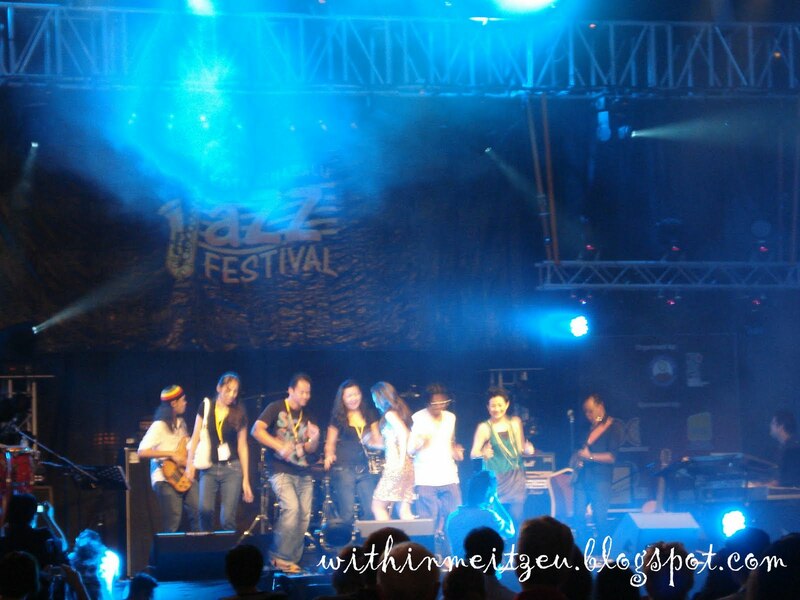 Our very own Sabah Jazz Music Team that had been invited to perform in front of the higher level VIPs. 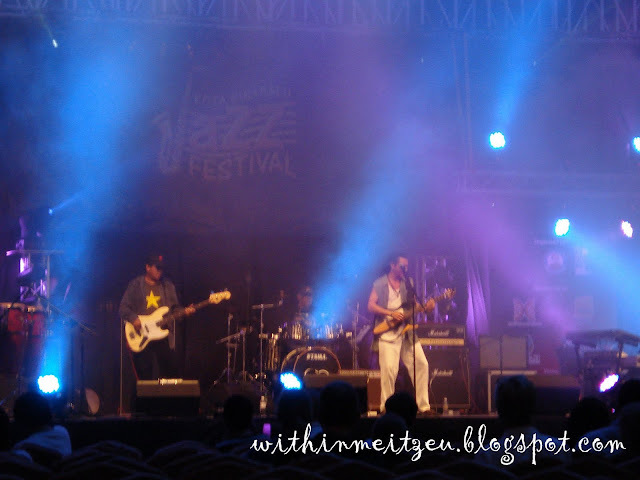 They came all the way from Pulau Penang and Sabahan/ tourist enjoyed their music very much. They are really good, hilarious in some parts of their show. I heart their music to the max. Everyone was having fun and getting in to the mood for that night. 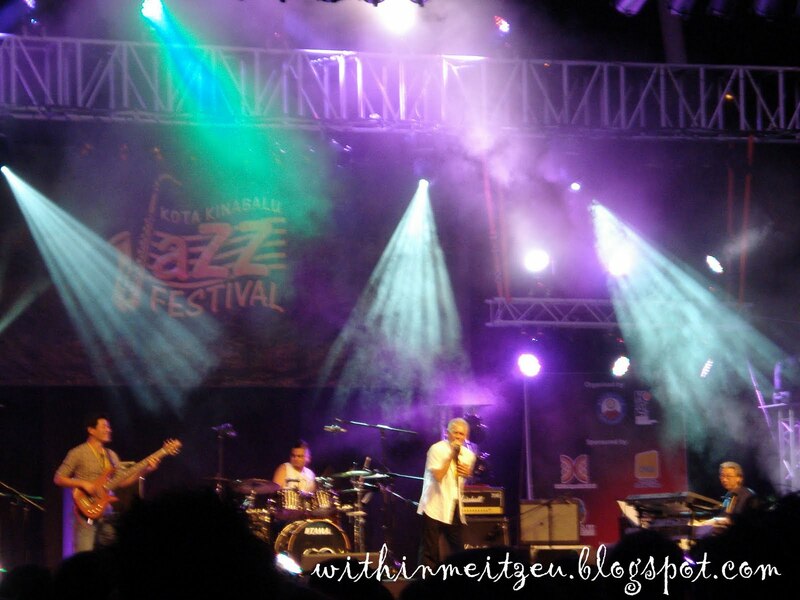 I think he (the man with white shirt) was surprised when the audience reply to his music and followed the rhythm of his songs for that night. 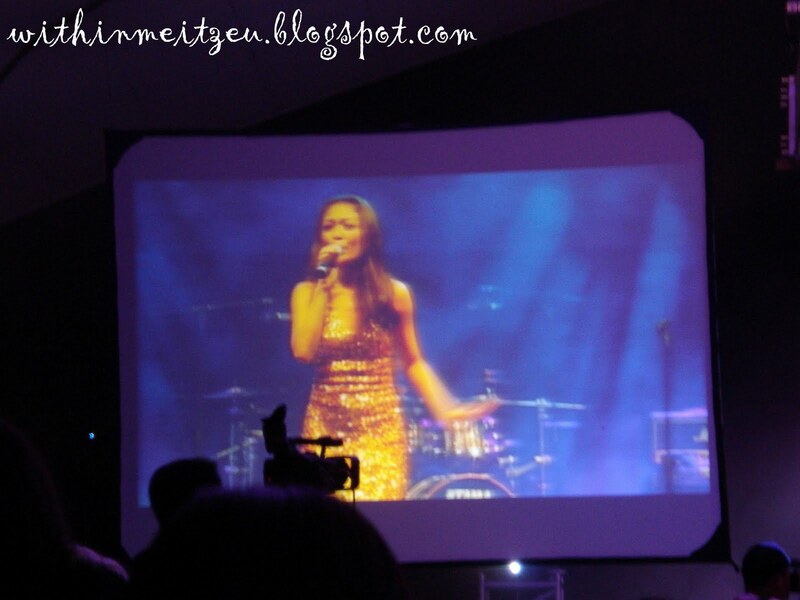 I heard her sing before, and she is good~ Click her for the previous event I've enjoyed. She'd launched her second album and it was in the market for sale now! She's pretty and petite too. She was so bling with her sequined dress and eye- catching too. She even told the audiences that if anyone who would love to dance on the dance floor, do come to the dance floor to sway with the music and she will dance with them too! She kept her words! 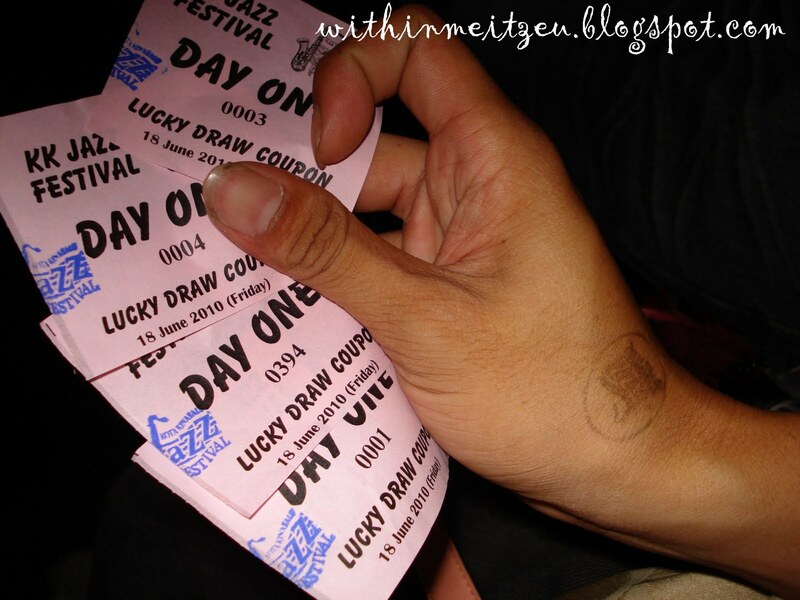 The event do prepared some lucky draws to the audience, but we wasn't that lucky to get gifts from DiGi on that night. We get the number"0001" in all the numbers they had (unexpectedly). The Tennis Court which the event was held!! Didn't attend on the second day of that event because I was busy and tired for other plans going on. And I wish for no rain would fall on the days that the same event held for the next year and other coming years. Hello fellow left handy! Looks like a really interesting experience. Believe it or not, I have yet to come to a Jazz Festival myself. Hoping to change that next year! Oh really?? 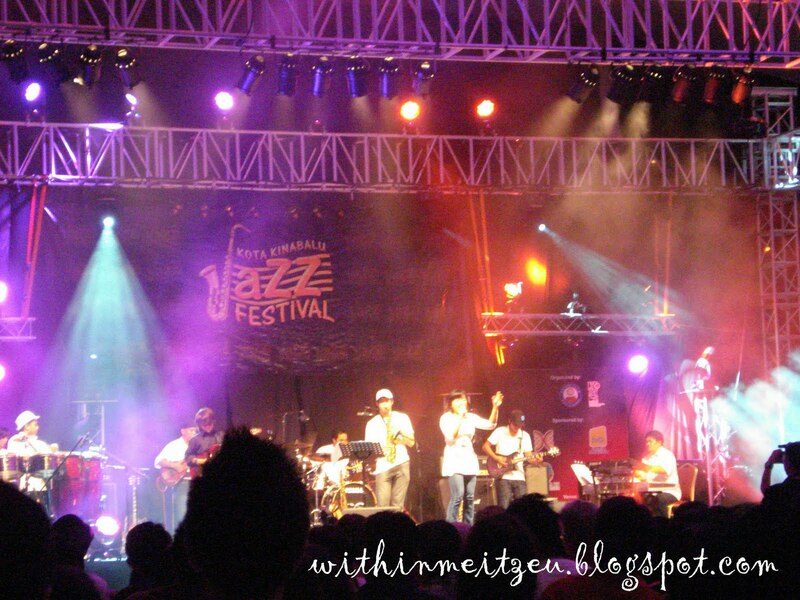 A Jazz Festival organise by you? Would love to join too!! Sure will change that next year! !